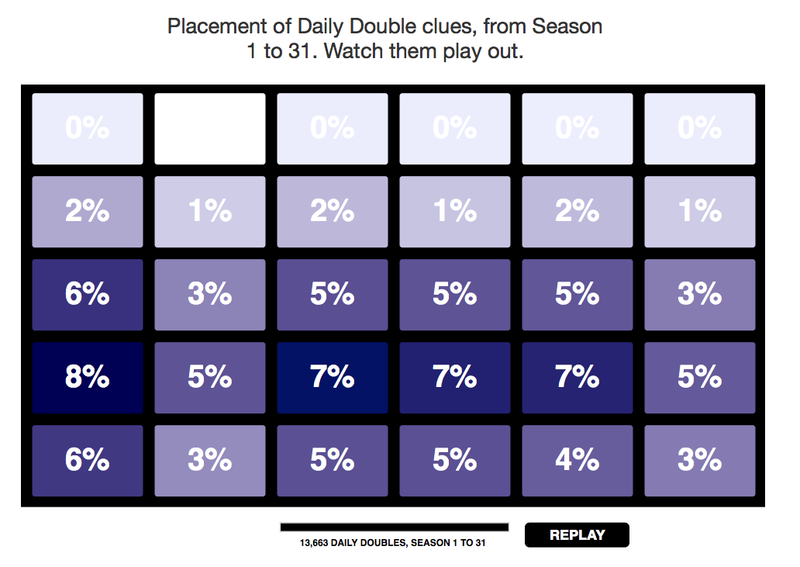 The distribution should be intuitive to anyone who regularly watches the show. This table offers a little more precision. As a reminder to enthusiasts, here is the link to the JArchive and its 277,000 questions with answers.